The equalizer circuit can adjust the frequency to 5 channel is 60 Hz, 100 Hz, 1 kHz, 3 kHz and 12 kHz. If the system is used in stereo, then build up to another set. Actually it started out wanting to play with a ceramic resonator oscillator and this receiver had one. So I built the oscillator first…it worked first time and I am quite happy with the results thus far. Swapped out the experimental variable cap I was using for tuning and installed a salvaged 27 to 267pf variable cap. Also made some voltage measurements for my data book. Om een kaars te laten branden, hebben we een verhittingsbron nodig (het vuur van een lucifer) en om hem te doven hoef je hem slechts uit te blazen. De volgende schakeling gedraagt zich op overeenkomstige wijze. This is a false capture circuit or Lie detector circuit. The basic principle of the resistance of human skin. While dry skin is a resistance of about 1 Mega ohm but if the skin moisture resistance is reduced. When the body are excited or scared or not sure the skin is moist than usual. 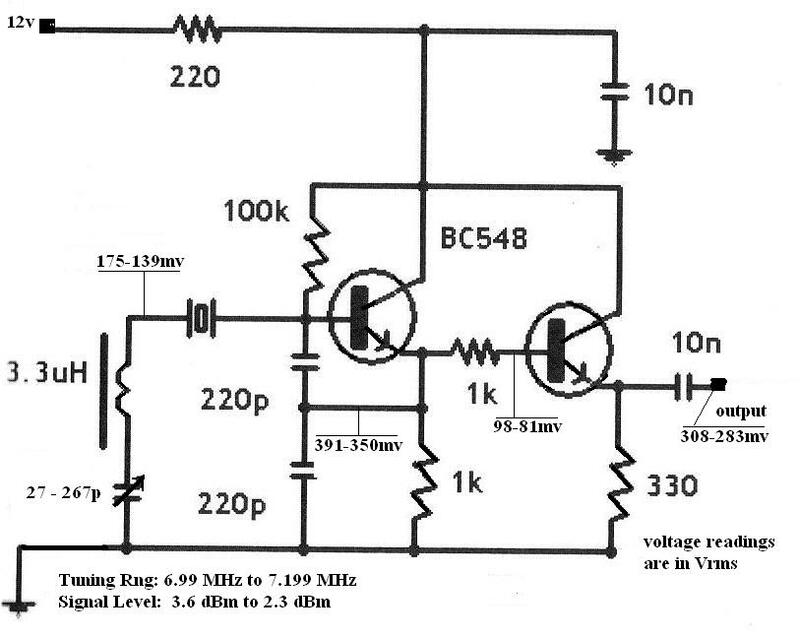 Pre amplifier with transistors BC548Pre amplifier circuit with transistors can be used to supply source from 6-12Volt the current minimum is 2-3 mA and can extend the signal strength from up to 2 Volt. The days when you could listen to amateurs on a simple shortwave AM receiver are with us again, thanks to the development of this one-transistor, frequency-agile signal frequency beat frequency oscillator. This circuit basically the base of LED Flashing circuit, the character generally be have Transistor stay 2 work alternate be be like the automatic switch that alternate work. This circuit is FM radio receiver that very small size and works well, although the sensitivity is poor. The principle of this circuit is to use the generator frequency circuit. This is an simple op-amp IC tester circuit that cheap and easy to build. for test many op-amp ICs fast check. 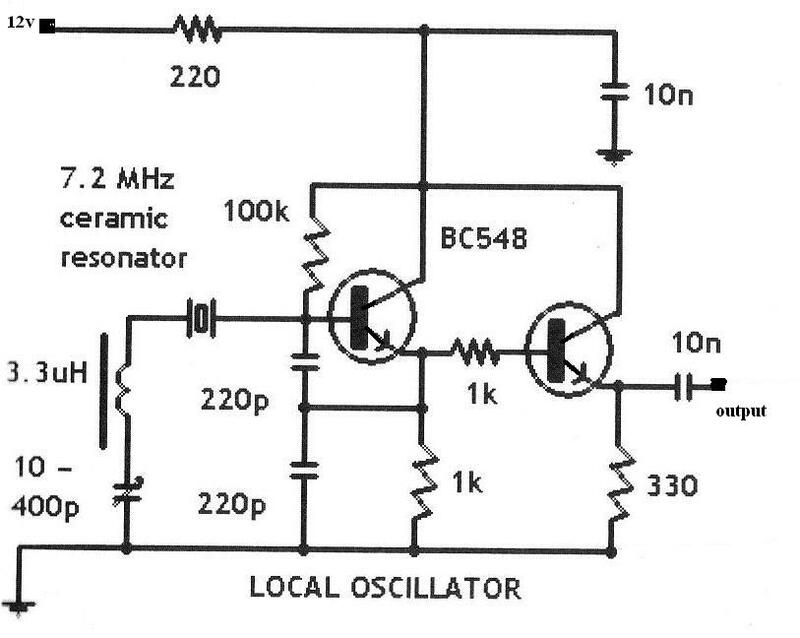 In the first circuit, above the BC548 is wired as a colpitts oscillator, the frequency tuned by insertion of a crystal.